Just hours before she’d been clinking glasses with Portugal’s president at a lavish state banquet to welcome the Dutch royals to the country. 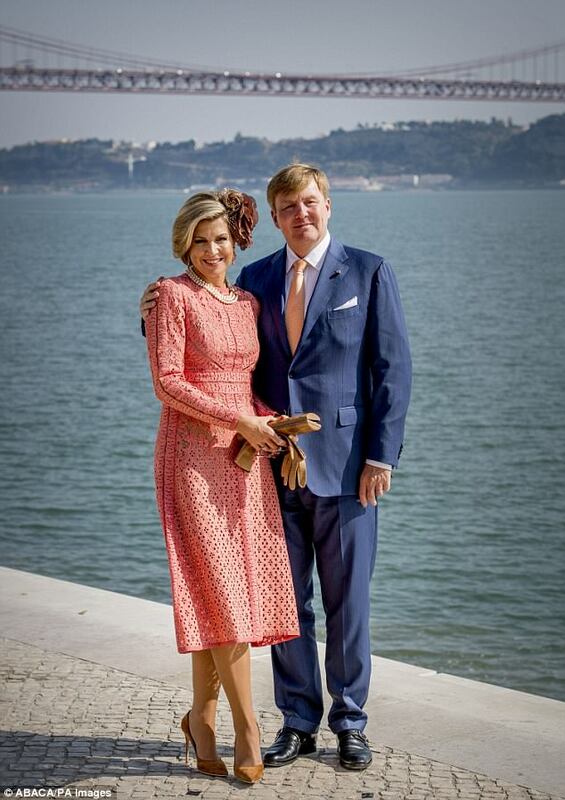 But despite the late night, Queen Maxima of the Netherlands looked radiant on Wednesday as she joined King Willem-Alexander on a visit to a biomedical research centre in Lisbon. The Queen, 46, wore a laser-cut midi dress in a pretty shade of pink, with brown suede heels, a pearl necklace, and a striking floral hair accessory.